This computer program is protected by copyright law and international treaties. Unauthorized reproduction or distribution of this program may result in criminal and civil penalties. - Ahmad Farhad Talebi, Meisam Tabatabaei, and Yusuf Chisti. "BiodieselAnalyzer: a user-friendly software for predicting the properties of prospective biodiesel." Biofuel Research Journal 1 (2014): 55-57. 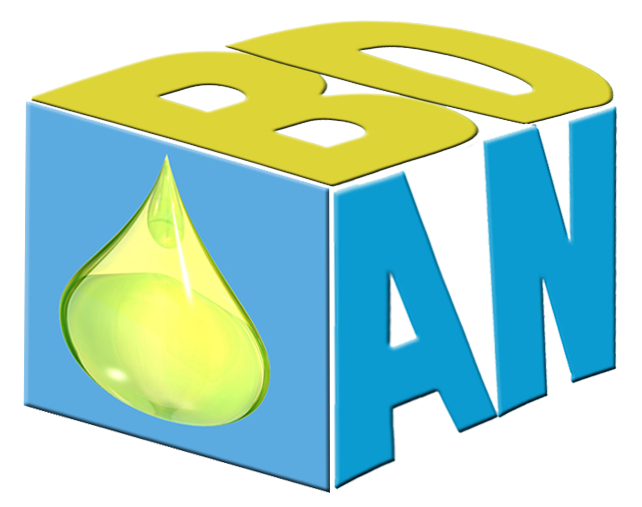 BiodieselAnalyzer is analytical software designed to predict biodiesel fuel properties based on fatty acid profile of any oil feedstock determined by gas-chromatography (GC). BiodieselAnalyzer calculates a wide range of biodiesel properties leading to an insight into the quality of the produced biodiesel and would eliminate the need for lengthy and costly production and analysis steps. The on-line version of BiodieselAnalyzer consists of a table where you can key in the GC data (percentage of fatty acids profile) of the oil samples manually. Alternatively, the GC data can be keyed in by uploading the MS Excel file entitled “input value.xlsx” accessible by clicking on the “Sample file for input data”. Then press the “Calculate” button to obtain the predicted biodiesel properties. The entire spread table can be copied to clipboard or alternatively be exported using the “Export” option. BiodieselAnalyzer predicts the following properties: Unsaturation Level (including Saturated and Unsatured Fatty Acids, Degree of Unsaturation), Cetan Number, Cold Flow Properties (including Cloud Point, Cold Filter Plugging Point, and Pour Point), Oxidation Stability (including Allylic and Bis-Allylic Position Equivalents and Oxidation Stability), Higher Heating Value, Kinematic Viscosity, and Density. 1-	1-	You can be navigated away from the any section by clicking on the 'Back to datasheet' in order to exert any changes in the GC data. 2-	The 2.2 version is compatible with all browser. SFA: Saturated Fatty Acid (%), MUFA: Mono Unsaturated Fatty Acid (%), PUFA: Poly Unsaturated Fatty Acid (%), DU: Degree of Unsaturation, SV: Saponification Value (mg/g), IV: Iodine Value, CN: Cetane number, LCSF: Long Chain Saturated Factor, CFPP: Cold Filter Plugging Point (°C), CP: Cloud Point (°C), PP: Pour Point (°C), APE: Allylic Position Equivalent, BAPE: Bis-Allylic Position Equivalent, OS: Oxidation Stabilit (h), HHV: Higher Heating Value, υ: Kinematic Viscosity (mm2/s), ρ: Density (g/cm3).